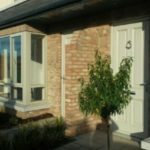 Clanmil Ireland are delighted to have completed the purchase of five new built homes in a beautiful new estate in Maynooth under Part V. These 3 bed family homes are build to a very high standard and are A rated. The properties are close to a host of amenities including shops, schools, parks and restaurants. We hope to welcome five families to their new homes before Christmas. 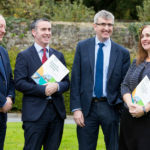 ICSH national conference on social housing taking place in Kilkenny. The affordable and social housing crisis will endure for a generation unless rapid and modular housing systems become the norm.